Siobhan Hughes and Jesse Newman reported on the front page of Saturday’s Wall Street Journal that, “The House defeated a Republican-written farm bill on Friday after GOP leaders couldn’t win over a bloc of their party’s most conservative lawmakers, who were demanding a separate vote soon on a measure to toughen immigration enforcement. “The conservatives, members of the House Freedom Caucus, broke with their party even as leaders tried to persuade them that an immigration measure they wanted to bring to the floor would come up in June as part of a series of other immigration votes. The group instead wanted an immediate vote on a specific bill that would reduce legal immigration and add enforcement measures. 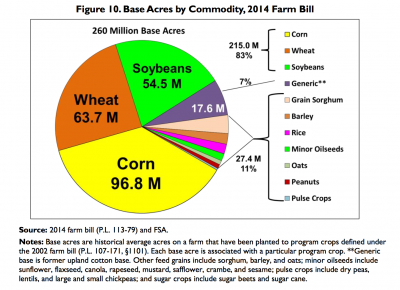 “As a result, the farm bill was defeated, with 198 lawmakers in favor and 213 opposed. Thirty Republicans joined 183 Democrats in opposition. From written Testimony of William Cole, Chairman, Crop Insurance Professionals Association- Committee on Agriculture, Nutrition, and Forestry United States Senate, July 25, 2017. 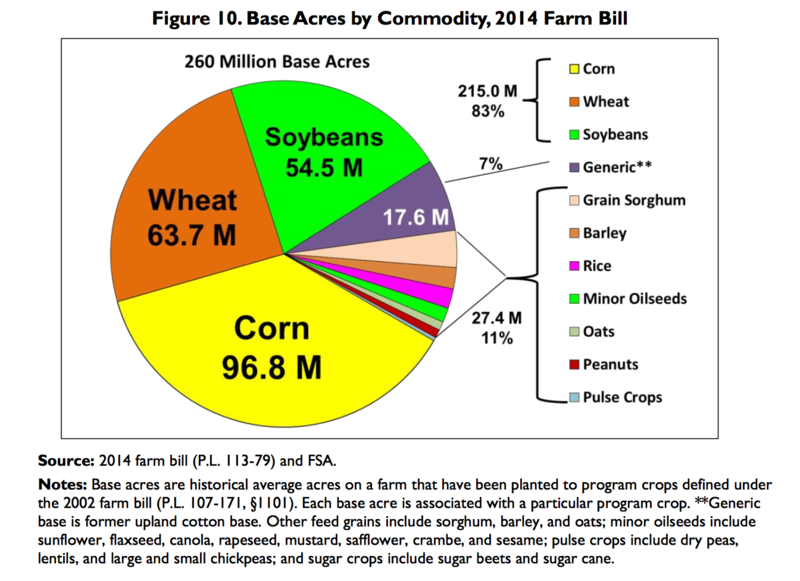 Base Acres by Commodity, 2014 Farm Bill. 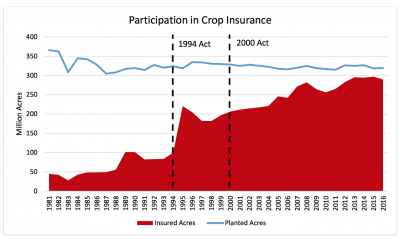 “Farm Safety-Net Payments Under the 2014 Farm Bill: Comparison by Program Crop,” Congressional Research Service (August 11, 2017). Schnitkey, G., J. Coppess, C. Zulauf, and N. Paulson. 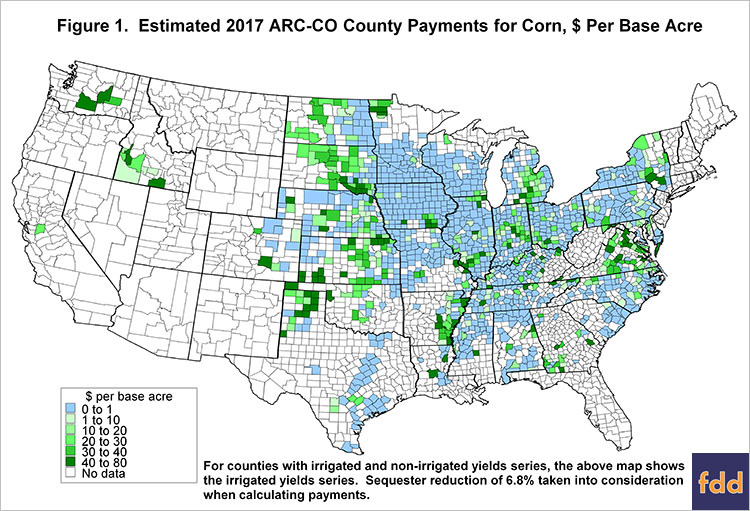 “Estimated 2017 ARC-CO Payments.” farmdoc daily (8):34, Department of Agricultural and Consumer Economics, University of Illinois at Urbana-Champaign, February 27, 2018 (https://goo.gl/z3fCwH). 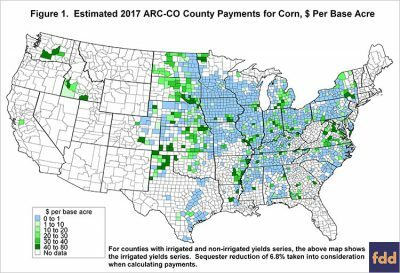 And Bloomberg writers Alan Bjerga and Erik Wasson reported on Saturday that, “Some Democrats see an opportunity amid the Republican disarray, saying that if Ryan were willing to eliminate the new food stamp rules, they could help pass a bill.